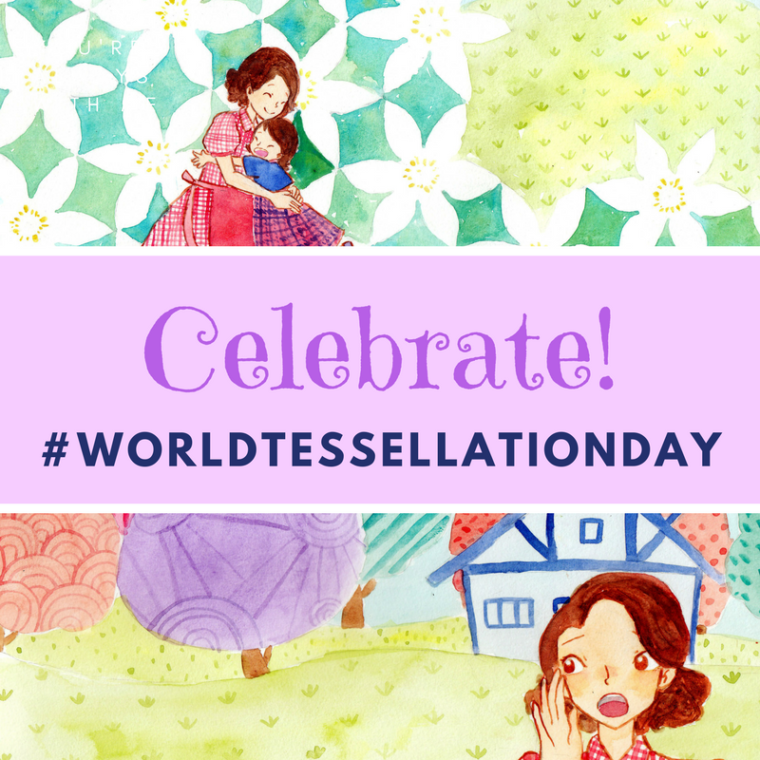 In just a few weeks I will celebrate the world holiday I created, World Tessellation Day. Actually, that’s wrong. I had the crazy idea to start a world holiday around interlocking tiled mosaic patterns, but it was a couple hundred people, many of them fantastically creative math play advocates, who made it happen and who are ensuring this holiday will continue on June 17. That’s not that great of an answer, is it? If you want people on board with your ideas, you need to have a driving force behind them, a story that makes sense for why something must exist in the first place. It isn’t enough to expect the world to get excited about the things you love. There has to be a reason. I certainly have that reason. I was one of those kids who identified as being “bad at math.” That was complete bunk, of course. I can identify now that math was simply the subject I would have to work a little harder at. It didn’t come immediately. But there was one lesson that stuck for me. And it didn’t happen in a math class, it happened in gifted. We got pulled out of regular class for a lesson in 4th grade on tessellations. The tessellation I created was terrible. It was basically seal heads jumping out of the sea. But I had so much fun! I don’t walk around telling teachers to “Make it Fun.” I don’t fundamentally believe that school should be fun, though it often is. I believe children want to learn and school needs to be engaging. What I do want people to know is that creative kids can be engaged in math concepts in a way that is memorable. So that’s my dream. It’s why I wrote my children’s book, Tessalation!, and it’s the reason behind the season, er, holiday. To draw attention to tessellations until there is no one walking the earth who doesn’t know what a tessellation is. Math is life. Life is math. That’s a big turnaround for a onetime mathaphobe. That, my friends, is something to celebrate. Why does the world need your holiday? The world doesn’t need World Tessellation Day. But there is a subsection of the world that does need World Tessellation Day. People who love pattern. People who Instagram their feet on tiled hexagon mosaic bathroom floors. Kids who made a tessellation in class. Quilters who live for interlocking colors. Math teachers who really want to have some fun. Fans of M.C. Escher (it’s his birthday!). Why could your world need your holiday? There’s a lot of useless world holidays out there. One might say there is a glut of world holidays. I could go on but I won’t. There is a holiday for everything. No one expects everyone will celebrate every one of these holidays. The purpose of a holiday could be to draw attention to a cause, to sell more donuts, to connect people around a particular issue, or maybe just to connect people to an idea that needs to be out there in the world. We don’t need any more inane holidays. We need holidays with a purpose. What’s yours? I’m blogging about creative wayfinding and collecting the posts in my monthly newsletter. You can sign up at the upper right sidebar!